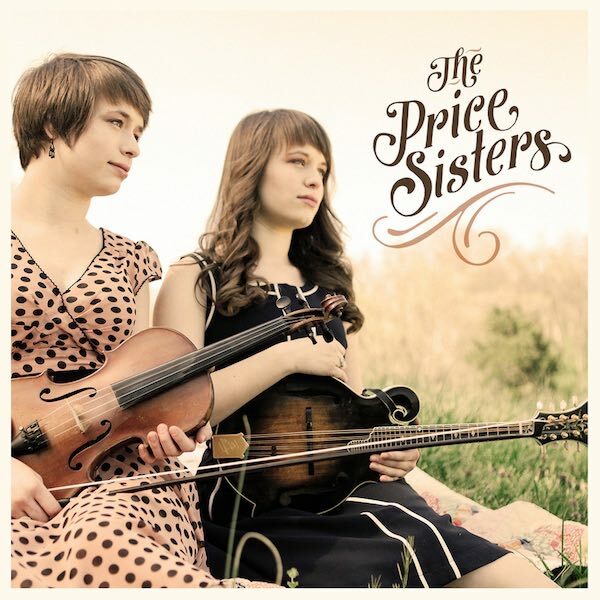 Rebel Records has announced the release of The Price Sisters self titled debut album. The twin sisters Lauren and Leanna Price hail from Sardis, Ohio. Lauren (mandolin, harmony/lead vocals) and Leanna Price (fiddle, lead/harmony vocals) have developed an understanding of the complexities of mountain music that far surpasses their youth. The Price Sisters pay tribute to the “ancient tones” set forth by Bill Monroe and his Blue Grass Boys in their own way, with rich and powerful vocals that pay respect to the high lonesome sound and playing that draws on the influence of the legends of the genre as well as contemporary stars like Alison Krauss and Jason Carter. Their unqiue interpretation of tradition has earned them the praise of some of Monroe’s most prominent disciples including Bobby Osborne, Byron Berline, Ronnie McCoury and Mike Compton, who recently selected Lauren to be an instructor at his prestigious Monroe Mandolin Camp at the age of 21. The Price Sisters’ self-titled Rebel debut, a 7-song EP, was recorded with Grammy award-winning producer Bill VornDick. Additional instrumentation and vocals were provided by special guests Mike Bub (bass), Dustin Benson (guitar), Charlie Cushman (banjo), Ronnie McCoury (guitar) and Alan Bartram (harmony vocals). The debut album includes two numbers from the Father of Bluegrass himself: the powerfully sung “The One I Love is Gone” and a rendition of “Get Up John,” which showcases Lauren’s fiery mandolin. Leanna’s soulful voice is on display on the recent Marshal Warwick composition “It’s Happening Again,” and a beautifully textured rendering of the traditional ballad “What Does the Deep Sea Say,” the album’s debut single. On every track, the sisters’ innovative and evocative playing is matched by their beautiful singing which brings emotion and energy to some very old tunes. and cause for hope for every fan of the musical tradition of Bill Monroe. Greg. Always find myself interested by your promo posts but wishing they had some way to get a sample.